Hi, to all dog lovers! Can you guess who’s definitely a happy puppy? Yes, the ones with big grins and cute puppy smiles. Is your love for your furry friends scale way too much? Well, you desire to have a happy puppy and believably you may be trying everything possible to make your kiddo happy. They may possess diverging character, breed, size, behavior. The more you treat them with dignity, the more they will shower their love. So now, you might have been confused on how to have a happy puppy. Just smile, we are here to make you worry free. We will guide you through every possible detail to make your buddy a Happy Puppy with all the Dog Training Tips. You always brag about your pets, worry about them, talk about them and cover all your Facebook posts with their pictures, then you are the person we are searching. We all love pets but are you totally obsessed with them? Find out by answering all these simple questions. 1. Do you and your pet have at least one pair of matching outfits? 2. Do you have your pet’s photo as your mobile or computer’s screensaver or wallpaper? 3. Do you carry your pet to work in spite of having someone to take care of at home? 4. Do you insanely love your pet more than your hubby and your children? 5. Does your pet sleep with you on your bed while your partner sleeps on the sofa? 6. Have you tried to read situations from your dog’s point of view? 7. Do you always talk about your dog at least once in routine conversations with your friends? 8. You sincerely say sorry to your dog for anything that has happened accidentally! 9. Has the thought of putting up your own kids for adoption cross your mind more often than not? 10. You pat your dog’s head and kiss heavily on her lips until you gasp for breath? 11. Did you shed tears just watching your dog sleep? 12. You and your dog share a one-to-one secret language! Quiz: Are You Suffering From Obsessive Canine Disorder? RESULT: You are very less caring about your dog. It’s high time you rethink your priorities and spend some more time with your dog. RESULT: You love your dog but you are not obsessed. You seem to be a level-headed person. Both you and your dog enjoy their respective lives with freedom and love. RESULT: You're totally absolutely obsessed with your pet. You are ready to do anything for your pet. In short, your pet is totally lucky. Remember, your family members also need your love and affection. Well, do you know, approximately 340 dog breeds are available worldwide that are recognized by most the famous canine organization, Federation Cynologique Internationale (FCI), also known as the World Canine Organization? A dog can be categorized based on their nature such as companion dogs, herding dogs, hunting dogs, guard dogs and much more. Some dog breeds are even used as therapy dogs to comfort the patients and as guide dogs to help blind or physically challenged. Some dog breeds are extremely loving, loyal, friendly, energetic as well as , and courageous. Friendly breeds can be categorized based on their affection towards family, friendliness with kids and other animals and their sociability with strangers. A dogs behavior is to a large extent depends on its owner’s upkeep and affection. Remember, friendly dogs are the best examples of companion dogs, and there are other dog breeds that are mainly preferred for guarding, herding, hunting, and other activities. Working dogs are categorized based on their strong build, loyalty, fearlessness, high alertness, a dog’s behavior and guarding ability against intruders etc. Now let us see what all can make your loyal friend happy. The first thing to remember is choosing the breed that suits you. Because to make your puppy happy it is very important to know all the information related to your pup’s breed. While some breeds like Saint Bernard, Bernese, Akita and Siberian Husky can survive well in countries where temperatures are low, other breeds like basenji, Terriers like Boston Terrier, Italian Greyhound, and Vizsla can survive in hot weather conditions. Few breeds such as Retrievers and German Shepherd can adapt well to both weather conditions. 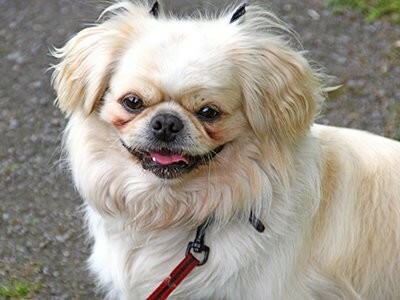 Toy breeds like Pomeranian, Chihuahua, Pug, and Dachshund do not need many activities. So, they are the best fit for small houses and apartments. But bigger breeds like Retrievers, Great Dane and Doberman need more attention and it is the prerogative of the dog owner to teach a dog. A well ventilated spacious house, yards or garden to play fetch games and pools will be required for these lovely giants. Many types of high maintenance to low maintenance dog breeds are available. Grooming, exercise, regular walking, and balanced diets are compulsory to keep your puppy or dog healthy and happy. Dogs with dense hair coat require regular grooming and trimming while others with less or no hair do not need that. The former may not drool much due to their dense coat but later may drool more as the heat affects their skin coat directly. Similarly, dogs like Retrievers need daily exercise and walk to prevent obesity. Breed type and size specific systematic diet should be followed. You have to feed your dog and their puppies depending on their breed, size, and age. While some may go easy on a vegetarian diet, but others would be happy with a non-vegetarian diet. The food quantity and interest may vary from dog to dog regardless of their breed and size. Know about the foods and stuff that may be toxic to your little one. Foods that contain Citric acid, methylxanthines, oils, fats, salmonella, e.coli, avidin, salt, xylitol and yeast cause minor to major health issues like vomiting, diarrhea, heart problems, kidney failure and sometimes may even lead to death. Always consult your vet and follow the diet suggested by him. Well, now you have got to know about the toxins for your pal, let us see about the healthy foods for these sweet dolls. Regular check-ups and vaccinations on time are a must. Vaccines like rabies, hepatitis, distemper, and parvovirus are important vaccines for a dog. For puppies, vaccination should be started at six to eight weeks of age with an interval of three to four weeks. Adult dogs should be vaccinated yearly once or three years once depending on the vaccine type, age, place of living and medical history. Breeds like Retrievers are more prone to disease like cancers. Pomeranians and Pugs are prone to eye-related diseases due to their protruding eyes. Early precautions based on the breed type will be better. Also, maintain a file for your pup that contains all her medical history. This will be helpful for the vet to know about your pup better. It’s not good to depend on your vet completely for your puppy’s wellbeing. Knowing some medical information will be handy in emergency situations. A first aid kit with nearest vet clinic phone numbers, self-cling bandage, cotton, antiseptics, ice pack etc. should be always ready. Remember to take some water when you go out with your pup on a sunny day and never ever leave your pup inside a closed car. Learn from your vet about treating your pup for cuts and wounds, heat strokes and CPR (Cardio Pulmonary Resuscitation) method used when puppy’s heart stops functioning. Do dogs smile when they are happy? The moment you reach home from work or business, and see your dog wagging its tail swiftly and come rushing towards you, then it is pretty obvious that your doggie is excited to meet you. It is really important to teach your dog to follow your instructions and this will ensure that your dog’s behaviour is nice and proper. But before we dig deeper you need to learn to read your dog’s facial characteristics and its body language to love your dog even further. When their lips are curled up, you can be sure he is happy and smiling but don’t compare it with the way humans smile and laugh. They are also good at laughing but it involves panting to some extent. Dogs also show signs of laughing when they expect something glad or pleasurable to happen. If your dog rolls his body over the floor or you see his ears pointing skywards, then these are signs that your doggie is happy. Happy puppy often keeps a loose tongue with their mouth ajar, can be perceived as a smile in your pet’s world. Finally, It is nice to know that even animals have the ability to share and express their feelings and it would be handy if we humans spend the time to understand them. Follow BBGT: That is, Brush, Bath, Groom, and Trim. Doing this regularly will maintain your puppy’s health. Your pup will appreciate daily brushing (no human toothpaste), once or twice weekly bath (thrice when it is really hot outside) and regular grooming with hair and nail trim. During the bath, check your puppy’s ears whether any dust or wax is accumulated. Wax accumulation may lead to ear pain and infection. Use the vet recommended ear drops as suggested. Avoid trimming your pup’s hair during winter as they act as natural protection from cold. Trimming your pup’s nails too short may lead to high bleeding. So it is safe to take your vet’s help. De-worming your pup at a regular interval (as per the vet suggestion) is very important as they may cause anemia. This will kill the parasites inside her intestine and blood and cleans her digestive system. Your puppy depends on you completely. So don’t leave her alone for long. Lonely pup always feels low – low in energy, less interested and depressed. Take him for a walk daily and buy toys for your pooch. Enrichment toys have hidden treats inside which the dog has to find a way to reach. These toys can be given to dogs that get bored easily. All the dogs love interactive toys like balls, fetch and tug that requires your involvement. Activities, like tracking (hide and seek) and playing in water pools, will be a good exercise for both of you. If not for bigger pools, you can buy your pup a small pool. She would equally enjoy playing in small pools too. You can also get her a pal like another dog or animal to spend her time when you are away from her for long. Teach her new tricks to refresh her brain. Don’t forget to appreciate your puppy with her favorite treats whenever she learns something new. Teaching a dog to stay has to start with “Down-Stay”, and then “Stay”.Use a steady voice tone and command your dog to stay in position. Now, it is time to press the clicker and handsomely reward your dog with some goodies for following the teaching. Training your pup will make it easy for you to handle your little one. Especially potty training is very important. Take your dog for a walk at least twice a day at a consistent time and make her understand that she should not mess up inside your home. She will get used to the toilet outside by going for a walk at the same time every day. Make your pal walk by your side or behind you during walks. This is for you to take the lead of your dog, not the other way around. Take her to nearby places like a park or beach and slowly introduce her to other dogs and your friends. Early socializing (at least 5 weeks old) with new people and animals will help her better understand to differentiate between your known and unknown persons. Teaching a dog a few basic commands like shake hands, sit, roll, bark, and quiet. Some dogs may learn your commands quickly while others require more patience and repetition. For better training, you can get help from dog training experts. If your pup is not keeping well, observe whether she suffers from the symptoms mentioned below. This helps you to understand that something is wrong and to take immediate action before it turns out to be serious. Consult your vet if your puppy shows any of the symptoms. Don’t give medicines without your doctor’s advice. Don’t be angry with your puppy for too long and neglect her. It may take some time for her to acclimatize. Shouting or beating your puppy for her mistakes will only grow fear in her. Instead of punishing, make her realize her mistake patiently. Never frighten her. Handling with tender and care will help your puppy’s confidence to soar high and ultimately strengthens your bond with her. As Per The Details Published In A Science Magazine, Casual Gazing Between The Owner And Its Pet Enhances The Bond Between Them. Read More. Your puppy feels safe when you are around her. She feels good when you hold her in your arms or lay her down on your lap. Sleeping with your buddy is not only good for her but it also helps you to come out of your stress and sleep better. Cuddle and comfort her when she is afraid of loud noises like firecrackers. If she shivers and clings to you denying to leave your side, then she has got noise anxiety. Don’t leave her alone when she needs you the most. Medications are also available to comfort the dogs suffering from noise anxiety. But the only vet recommended the dosage of medicine should be given. Try to understand what your little buddy is trying to tell you through her body language. Like when she wants to go out, if she is hungry or afraid of something, she will try to convey that to you. So observe well and get to know her needs by her body language. The better you understand her language the better you can make her happy. Big or small, ugly or beautiful, however your puppy may look, one common trait every dog has is to love you unconditionally and protect you in every possible way, even if that means losing their life. Dogs are the disguised angels with a short lifespan. Dog foods and other accessories like training pad for your puppies, dog gloves for bathing, leash, and harness etc. are published/available in leading websites like Amazon etc. Amazon also offers other services including a manual for teaching dogs and dog trick kits etc. to name a few. Little cuddle and care, more tricks and activities with lots of love and affection are all you need to do to make your home a heaven for these little angels to live their short life filled with joy and happiness.